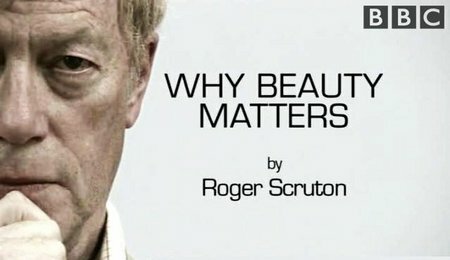 Roger Scruton, a well known philosopher, presents his case for beauty being put back at the center of society. Also, he stresses the importance of beauty in the arts as a factor in our lives that should be highly prized and valued. The 20th & 21st century has turned its back on beauty by making ugliness prominent which puts us on a journey to a spiritual wasteland according to Scruton. Beauty stopped being important in the 20th century. Originality took the place of beauty, regardless of the moral cost. Art has made a cult of ugliness, and even architecture has become sterile. In the 18th and the 19th century, beauty was the aim of artists and was as valuable as truth and goodness. A glass of water, being titled, “An Oak Tree”, is ridiculed fabulously. I refuse to call that art. This is not an Oak Tree. Its alleged art. Art has become morally corrupt. An item shouldn’t be considered a work of art simply because it has some reality within it. The skill of a true artist is to show the real, mixed with the ideal, based on the artist creativity. There is a difference between good and bad tastes. Many have lost their faith in beauty, there are no values unless it is utilitarian. Meaning if it has no use, its worthless. So where does this leave art? At one time, art was value higher than usefulness. Consumerism put art on the sideline making beauty a side effect. Editors Note: We don’t know what to think about this film, however, we like the points it made and cringe at other other concepts. We don’t get into “softy flicks” much.